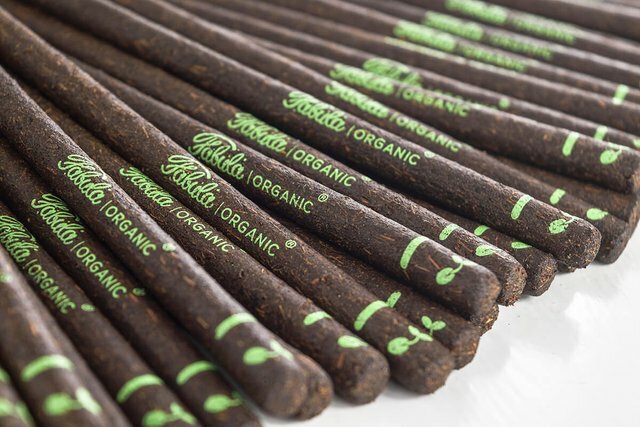 Designed to be sustainable, the pencil shavings can be used as compost and can be added to any potted plant. 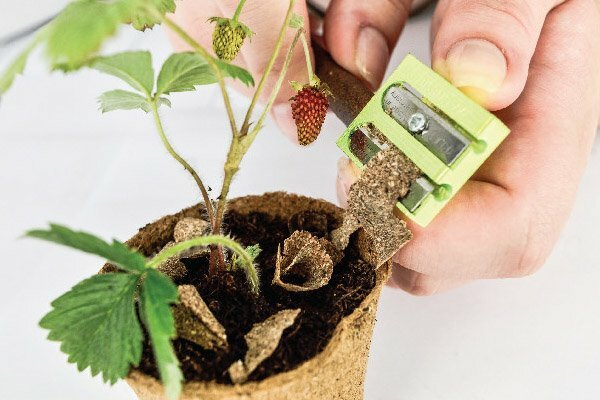 When Fabula gets too short to use, simply activate the stub in water and soon you'll have a young goji berry, forest strawberry or tea plant. The new plant grows from a seed hidden in the very top of the pencil. Hello, I really appreciate your effort & This really a good way to reuse waste material. As pencile uses woods for its cover in this scenario we are also saving nature. Indeed @amar15, this product is not only created from 100% recycled materials but it in itself is completely recycled. It is also very affordable. That's really a great technique. This is very interesting and innovative. Very unique as well. Never heard of a living pencil until today. Good use of recycled material and adding a seed makes it that little push toward uniqueness I like.